libraries up the side of.. 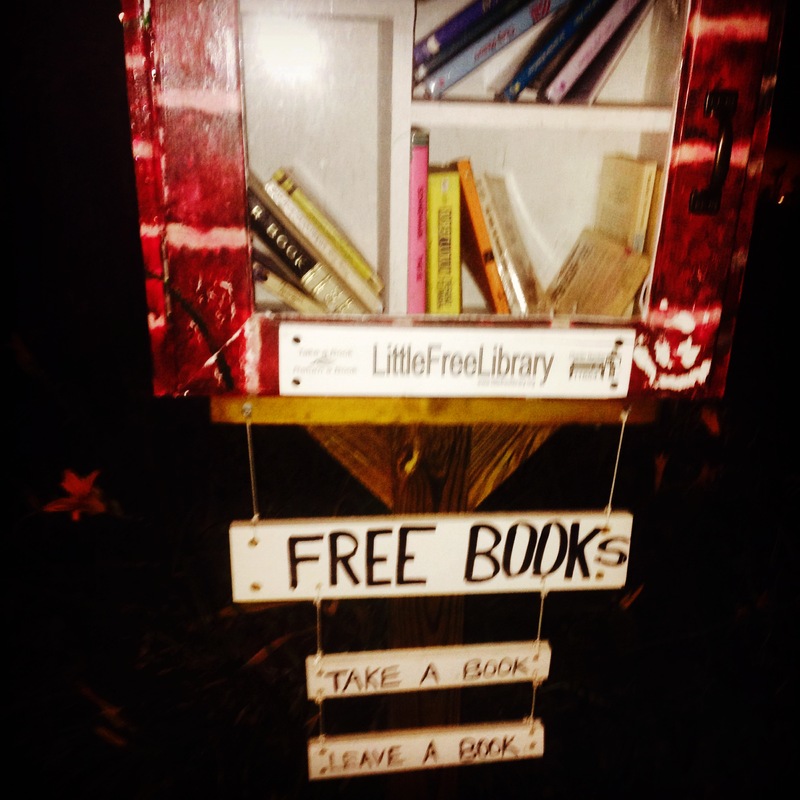 I ran into this Little Free Library in the Mutter Gottes Historic District in Covington, KY last Sunday night. 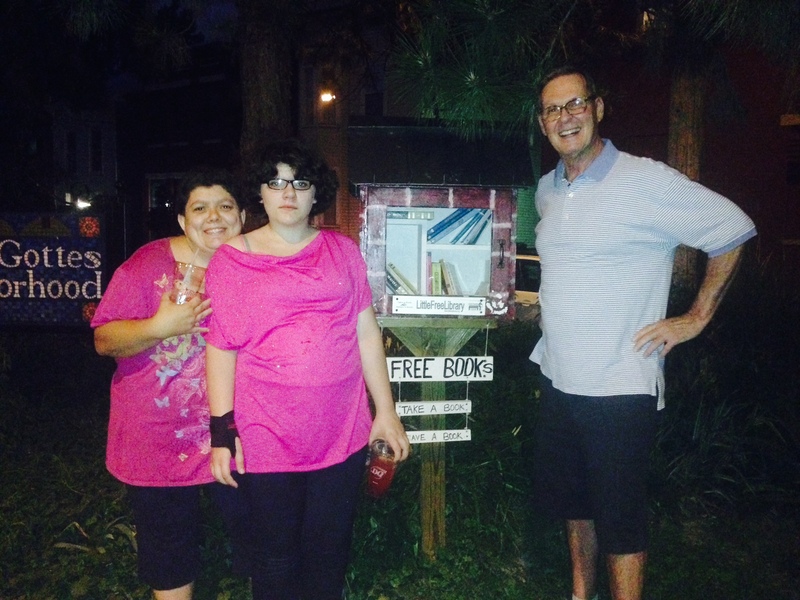 It was fun to browse through the books and see what had been left. 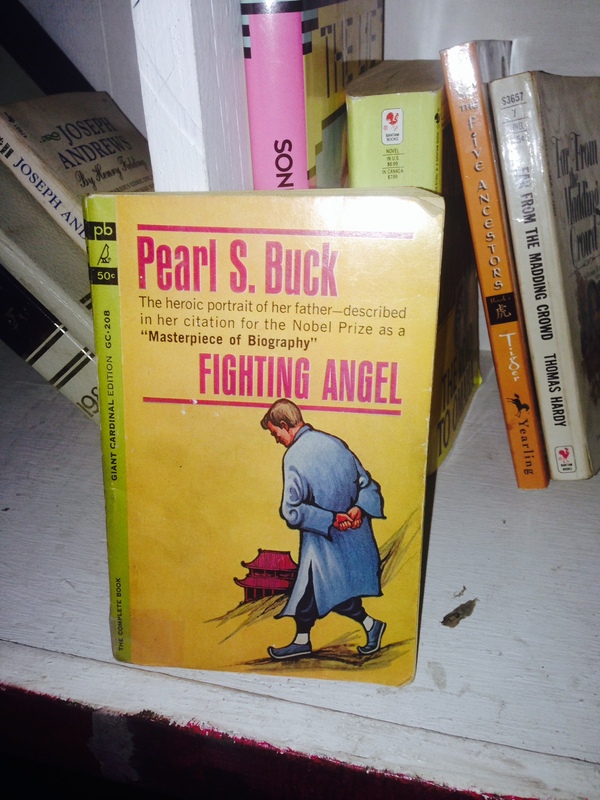 Here’s Pearls S. Buck and a look at cultural imperialism…. 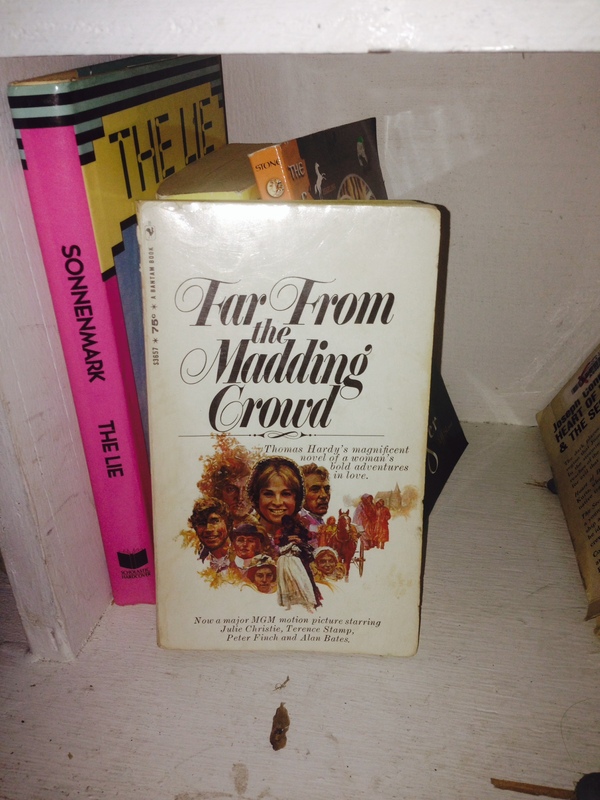 And Thomas Hardy’s Far From the Maddening Crowd, which is where I wanted to go after 10 hours in airports on Monday. But back to CA Conrad, whose poem “coping skills lost in the flood” zeroed in on my feelings this week about the US resending troops and who knows what else to Iraq. over books in Mutter Gottes.